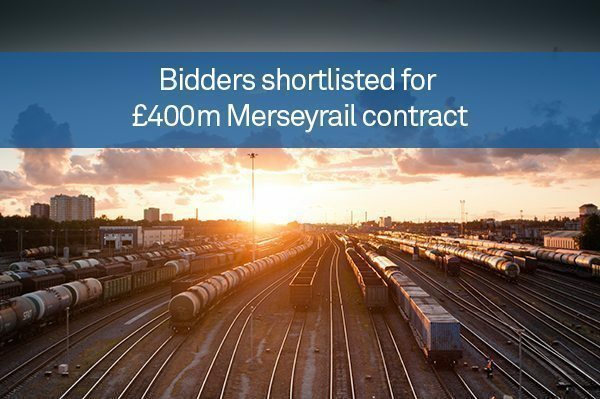 The bidders shortlisted for a £400 million contract to provide a new fleet for an upgraded and expanded Merseyside network have been confirmed. Bombardier, Construcciones y Auxiliar de Ferrocarriles (CAF), Mitsui, Siemens and Stadler will work on the joint venture after the tender process was introduced in October 2014. The project will mean new trains and upgrades to stations, depots and their power supply. Merseytravel has concluded that new trains need to be introduced by the early 2020s in order to satisfy public demand, which is rising by 2.5 per cent every year. Up to 60 per cent of the network could be over-capacity by 2043. It is believed that the improvements could boost the region by £70 million every year, leading to the development of 1,000 jobs, with extensions of Merseyrail services to Warrington and Crewe possible. Merseytravel chair councillor Liam Robinson said: “We are extremely pleased that our project has attracted the interest of leading names in the industry. Mr Robinson went on to say that the announcement marks a key phase in the project, continuing its momentum and moving towards the introduction of new Merseyrail trains. He also asked bidders to showcase their expertise to shape the company’s vision and show a true understanding of the network’s importance to Liverpool. Tender documents are set to be released on 22nd January with bids expected back by the end of April. Merseytravel is believed to target a preferred bidder by the end of 2016 when leaders in the city will be consulted regarding their commitment to the project. Merseytravel emphasised that its initial investment will utilise a range of funding mechanisms, and that there will be no additional costs to local taxpayers.